Mission 600 is a go. 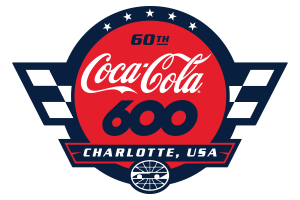 Charlotte Motor Speedway will - in conjunction with the Department of Defense - incorporate all five branches of the U.S. Armed Forces with Coca-Cola Racing Family driver trips to regional military bases before the historic 60th running of the Coca-Cola 600 on May 26. "Mission 600 provides us with a special opportunity to have drivers take in unique experiences with our servicemen and servicewomen in the Armed Forces," said Charlotte Motor Speedway Executive Vice President and General Manager Greg Walter. "We take pride in saluting the troops at the Coca-Cola 600 on Memorial Day weekend and remembering those who made the ultimate sacrifice to preserve our freedom. Mission 600 is the perfect kick-off for those events." In addition to Mission 600's thrilling build-up to the Coca-Cola 600, thousands of troops will join fans in the race-day festivities, which will include static military displays and interactive showcases in the Fan Zone. Additionally, 600 troops comprised of members from all five branches of the U.S. Armed Forces will be on the frontstretch during pre-race activities. The Coca-Cola 600 also serves as the opening for the NASCAR Salutes initiative. In a special salute to the troops, every race car's windshield will carry the name of a fallen serviceman or servicewoman.